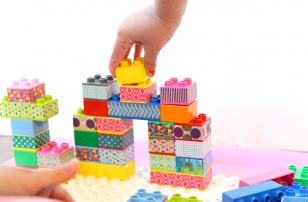 When I wrote my most popular post ever 75 Books The Build Character there was comment after comment about Maria Dismondy and her fantastic books. I had never heard of her but I couldn’t wait to read her books. One of the most wonderful things about having a blog is sometimes authors find you before you can find them. Maria contacted me herself and I was excited when she sent me two of her books to review and one to give away. Did I mention they are all signed? Yeah I love my job. 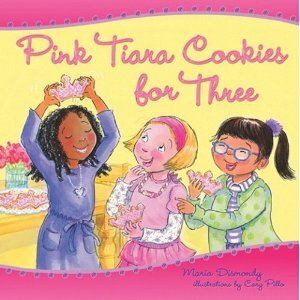 Pink Tiara Cookies For Three is a story I think most of us can relate to . It’s about two best friends who’s friendship is challenged when another little girl is welcomed by one friend and not by the other. I know as a young girl I dealt with this and it was heartbreaking. Now as a mom I watch my son and his two closest friends deal with this often. The author does a beautiful job at recognizing the feelings of rejection, loneliness and anger that children feel when this happens. The little girls in the story are probably a little more capable at expressing themselves than our children but that makes this book even more important. 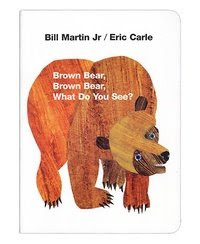 As my son and I read it today we took a lot of breaks for me to ask if he’d ever felt like any of the characters and that got him talking, relating and connecting not only to one side of the issue but to both. Oh and please don’t think it’s a girly book, it’s not my son loved it. His exact words were ” This would be really good for teachers to read to classes. ” I agree. 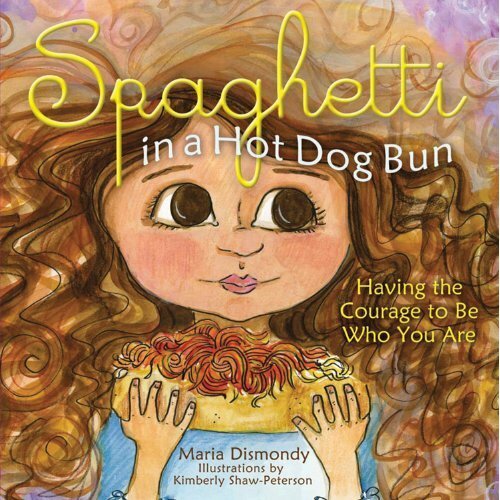 Spaghetti in A Hot Dog Bun: Having the Courage to Be Who You Are is about bullying but it’s also about doing the right thing and not loosing yourself especially when it’s hard. When I sat down to read this with my son he was begging me to play war with him. I had just read 8 chapters of another book with him and I really wanted to read this book before his sister woke up from her nap so we could talk about it. He ignored my request but I had a trick up my sleeve – I started reading. I was three words in when he walked up behind the couch and stayed there the whole time following along over my shoulder. We both really liked this story about a little girl made who is teased mercilessly by a classmate and how she deals with it. What we liked so much was that the bully was really mean and the bullying seemed to come from no where. I think that is so important because when you are getting bullied it’s hard to make sense of it, and often there is no clear reason for being a target. The dialog that this opened for us was so enlightening and this book offers parents and teachers many chances to talk about the complex issues of bullying. The thing about this book is that it’s not even so much about bullying but about not loosing confidence in yourself and who you are in the face of a bully. Lucy struggles with being teased but ultimately she helps her bully when he needs it even though he doesn’t deserve her help . She does the right thing and gains confidence in herself in the process. Maria Dismondy also has a third book The Juice Box Bully: Empowering Kids to Stand Up For Others she co-authored with Bob Sornson. So do you want a signed copy of Spaghetti in a Hot Dog Bun to read as part of our 3rd Annual Summer Reading Challenge ? <— nice plug eh? This sweepstakes is open to American residents 18 years or older. To be eligible for the sweepstakes you must leave a comment on this post answering the question “Where do you get new books to read?”1 winning commenter will be drawn at random, using Random.org, after the sweepstakes closes on Thursday June 14th 2012 at 8:00pm PST. 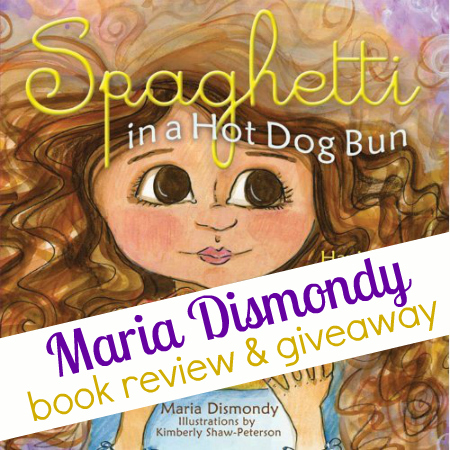 The winner will receive a signed copy of Spaghetti On A Hot Dog Bun by Maria Dismondy, valued at approximately $10. After the winner is notified he or she has 48 hours to respond with their mailing address for me to ship their book to,or another winner will be chosen at random. No purchase necessary.The number of eligible entries received determines the odds of winning. Any information gathered through the sweepstakes including email and postal addresses will not be used in anyway other than contacting winners and shipment of winnings. VOID WHERE PROHIBITED BY LAW. Our family and friends know that we are bookworms so we always get new (sometimes just new-to-us) books as gifts. I am a teacher by profession, so I learn about lots of great books through professional development opportunities. However, I also like to just sit down at the local bookstore to read their new features. I usually get new books to read from my local bookstores. We go to the library weekly. I rely on recommendations from friends or that I find online and various reading lists for picking new selections. I get new books from a variety of places. Since joining the world of young (and slightly broke) early childhood educators, I’ve recently rediscovered my love for the library. My library is great because I can borrow books from my entire county. They also they have e-books, so I can borrow books on my Kindle as well. I’ve acquired a lot of children books from my mother who has been secretly buying me classroom supplies for the last few years. I also picked some up at the local used book store. Finally, I have Amazon and my great group of friends for helping me acquire the rest of my personal library. Lately we get most of the from the library (using your lists as guides these days!) and I also buy some from amazon. My three kids and I are are huge library fans, and thankfully we live in area with a great network so we can almost always find what we are looking for. We love the library for new books and for our old favorites too! I find a lot of books by doing research onlinr. I also depend on co-workers for suggestions. 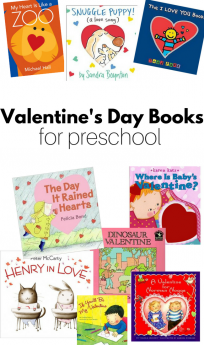 I am a preschool teacher, and I LOVE to read with my students. Some of my students are in my class for up to 3 years, so I am always looking for new books to help me teach the same lessons. Spaghetti on a Hot Dog Bun sounds like a perfect book for my little kiddos at the beginning of the school year! Most of my book choices come from randomly selecting books at the library (as a few others have also commented!) Our library has a limited selection, so this summer we will be visiting a different local library to check out their selection. Will be looking for Maria Dismondy! I used to get new books from browsing at our local chain book store. I really miss the ability to just look through things and discover treasures. I would buy some and borrow some from the library just so my husband didn’t freak over all my book purchases. Now, I get a lot of book suggestions from parents of my students and the children’s librarian. I sub at my kids school library from time to time and love talking about books with her. I love to browse the shelves at the bookstore, the library and even the “listamania” lists on amazon. I have also found great book ideas from pinterest and this blog and others. These books look wonderful! We use the library A LOT to find new books. 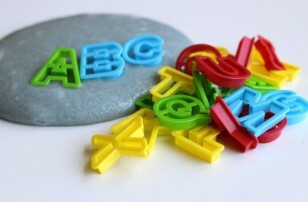 I get many ideas of what to read on Pinterest and blogs and word of mouth through teachers. I love when I can use the book in my class with activities or incorporating them in the lessons. I buy most of my books at Half Price Books or on Amazon. I go to the library weekly. I have many books in my classroom and like to display different books depending on our theme or needs that week. Next year we are emphasizing character and spiritual development, so I need to check these books out! I buy way too many books (I can’t help myself). 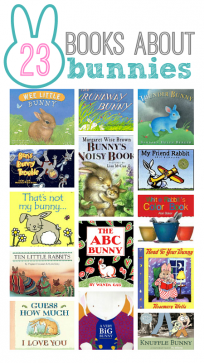 I have found the names of some great books from the teacher blogs I follow. I get most of our books from garage sales and the library. I get new books to read from the library mostly. Sometimes amazon.com or my local independent book store if its one I want for keeps! We usually find new books by browsing the library. I also love picking up books at yard sales. We get new books from Scholastic. This year are adding the library to our book efforts. We get them from library sales mostly. Sometimes I pay full price for a book I love is I can’t find it cheap. We have bought from ebay. Also thrift stores and even friends getting rid of books. Anyone getting rid of free books knows I will take them all. Then I can go through them and donate what we don’t want. Small inconvenience to have first pick of the books. The public library… love their holds system! Costco, library and thrift stores. Well, besides vendors, Texas Library Association Convention, ALA convention this year in Dallas, Boarders, friends, oh yeah, Scholastic Book Fairs, we also have a preview room where we can borrow books, write a review and keep catalogued books for free in DISD, these are where my new books are acquired. Mostly! Thanks for the opportunity. I also get some books from Barbara Langridge to review! We buy ours from Amazon, barnes&noble, Scholastic, friends, also on occasion, we borrow from the library. Can’t wait to read these gems! Most often I check the book store and ask them what is new. I do find some in the library but I love looking through book stores because I never know what I’ll find there. The majority of our new books come from the library. I also enjoy getting them from a local used book store. love the library and thrift stores! and then, if we discover a book we trully, trully cannot live without owning, we usually go through amazon. I’m always searching for new books to incorporate into my classroom curriculum. I search for new books in three different places the library, Scholastic Book Club, and book stores. I have gotten many of my most recent book ideas from your lists, THANK YOU! But we go to the library often, and Amazon. We usually get our books off amazon.com or Bookmans recycled book store. I find out about a lot of great books from blogs I follow. Then, I visit Amazon.com to read more reviews, and check out the other books listen on that page that are suggested. 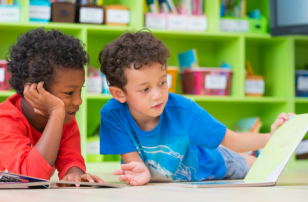 As a teacher, I find books in many ways; through blogs like this, pinterest, Scholastic book orders, our locally owned book store, our local library, Barnes & Noble teacher emails, and parents. I really get excited when I find GOOD literature that will help with current issues and both of these books hit it on the head. I repined them to my “earlychildhood books to read” board. I hope to get them in time to read to my 2nd/3rd grade combo class the first day of school this fall. I may even read them to my preschoolers! We are what you might call ‘library rats’ and the new books bin is my first stop at every visit! Library websites have lots of great lists. We get books from the library but now we order them on my kindle. My son has dyslexia and the high contrast screen makes it easier for hIm to read. I randomly select books from the library. I also order books from my son’s Scholastic Book Form. I am part of a mommy and me book swap. We exchange children’s books every month! Love it. I would go broke feeding my kids need to read, so we check out 30-40 books at a time from our local library (LOVE when they have book sale fundraisers where kid books are 10-25 cents). I’ll buy used ones from thrift stores….Savers is best, buy 4 (at $.70 ea) and get the 5th free. We also trade to earn credits at a used book store. The paperback swap online is another great place for good books, you just pay shipping and earn credits for every book swapped. And lastly, if I can’t get a particular book any of those places, I break down and buy it on Amazon, preferably used. We get new books from the library and Amazon. I get new books from the library. I love finding new books to share with my class. I love picking up books either at my school library or local public library. I also order through Scholastic Book clubs ( love me free points) or through Amazon if I need something special. Being a school librarian, I get new books at my school. Personally, I buy books from Amazon, book fairs, library conventions, and most recently, ebooks from iTunes. However, I’m still old school and still like a traditional ol’ book with paper pages! We are also a huge library and Amazon family. I rely on lists like your 75 books that build character and then I’m on the hunt. Thanks! From your blog 🙂 Other moms, the library, and the books I see in my kids’ classrooms are where I get most of my ideas. Thank you for the chance!! Most of the books we read come first from our library. I order them through my on-line account. I get new books from the library. I also buy off of Amazon or through my daughter’s Scholastic book order. Always excited to hear about new books and authors! We got our books at a half off bookstore or through Scholastic. My DD and I go to the library weekly. We pick books randomly but also bring along some suggestions from this site. Where do you get new books to read? New, from Amazon (or at least most of them) and gently used from garage sales/ trift shops. Where do you get new books to read? Amazon. We get books through friends, family, library, B&N, Scholastic and thrift shops. We go to the library frequently to try new books. Lately we have been buying from the book fair at the boys school, it’s win win for everyone. I also get recommendations from Pinterest and friends. We love the library! I also get ideas from Pinterest for good books for my girl. I also like to go to Half Price Books here to get books at discounted prices. Mostly the library: randomly (especially those fronted by the librarians), looking for authors we already like, and requesting ones I see reviews for online. We also get some from the used book store (Half Price Books) and the new book store (B&N). We make a trip to the library! Sometimes a I search amazon or we make a trip to the bookstore. I hadn’t heard of these books, either, but they look great! I’ll look for them at our library and little independent bookstore! We walk to our library on a weekly basis… our options are endless!!! When we purchase new books, we use online sites like Zulily or we go to Barnes & Noble. We borrow from 3 different libraries in town and occasionally buy from our local independently-owned bookstore. I just listen to friends talking, blogs I read, teachers I taught with, librarians, tv shows, etc. I have a list in my phone that I am always referring to when buying/borrowing books! Thanks! I just listen to friends talking, blogs I read, teachers I taught with, librarians, tv shows, etc. I have a list in my phone that I am always referring to when buying/borrowing books! Thanks for this giveaway! 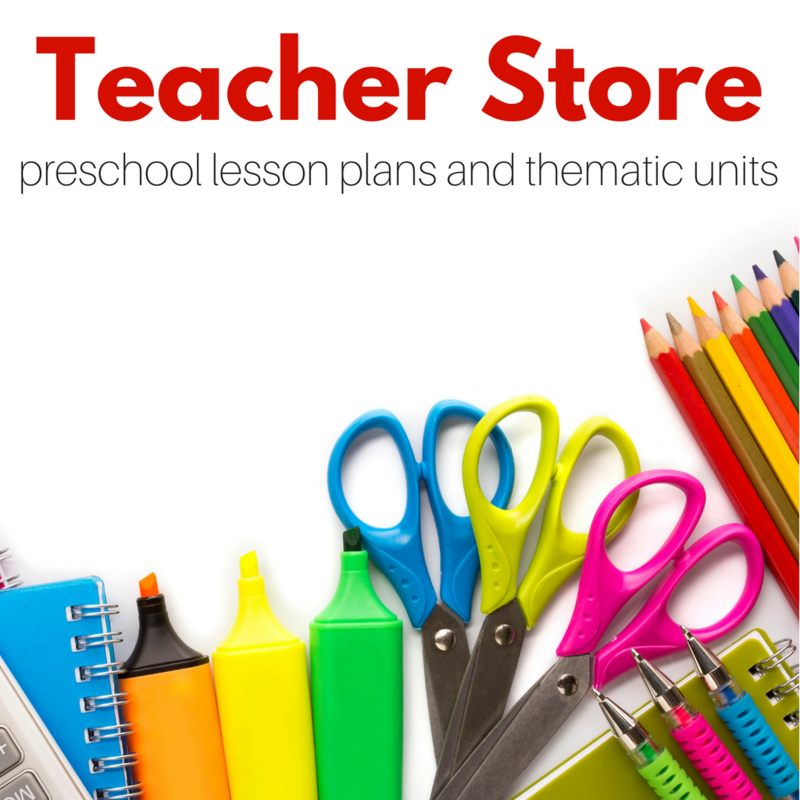 I am an elementary school teacher, so I’m constantly looking for books (mostly online searches of bookstores and blogs) to fulfill specific needs based on what I’m teaching. I also get lots of recommendations by colleagues. But if I’m looking for new books for my own daughters, we usually find good ones at the library just looking through the shelves! I check out new (and not new) books out at the library…I am consistently on a waiting list there(: I love to read books and so do my children, so I usually leave the library with a large stack!! Thank you! We get our books a the library, mostly. We go to the library every other Friday for new books and my mother who is a preschool director sends lots of books our way! Illustrations look gorgeous! We get most of our new books from the library, library book sales and exchanges with friends. I bring my daughter to the library once a week to pick out new books. We choose four books a week. I also pick up books from the discount stores and always ask for family members to send them during holidays. The Goodwill! Our Goodwill has books 4/$1 and we always find a few good things to read! Sometimes I buy them used online, goodwill, and rummage sales. If it’s something I really want then I will go to Barnes and Noble. Book orders from scholastic are great resources on a budget and help my kiddos teacher too! We get books from goodwill, Online yard sale, 2nd and Charles and Barnes and Noble and usually in that order. I get new books online, from the library (at least weekly), via Kindle, and from my mother, who loves to mail my kids new books! I talk with friends regularly about chapter books for my daughter, and about great topics to read to my soon-to-be Kindergarten boy. I talk with the people who work at the library about new books and books that are in high demand to be checked out. Yep, I got a ‘thing’ for books! We get books at the library, yard sales, resale stores. Anywhere we can find em in good shape! My daughter is only nineteen months but she loves to read. We go to the library every other week and check out a ton of books!